An initiative to help growers retain access to vital products was introduced in 2015. Jane Carley looks at how the Nematicide Stewardship Programme is progressing, and how growers can get involved. Nematicides have come under considerable scrutiny recently, not only from European regulators but from environmentalists, health professionals and the general public. However, nematicide manufacturers say the use of these products will remain critical to many growers in producing a quality product and maintaining current rotations. The Nematicide Stewardship Programme (NSP) group was formed in 2015 to work alongside farmers and operators to ensure adherence to ‘best practice’ for all nematicide applications. The NSP group is a joint initiative which brings agrochemical companies Certis, DuPont and Syngenta together for the first time and includes cross-industry support from AIC, AHDB, the Fresh Potatoes Suppliers Association, NFU, the Potato Processors Association (PPA) and Richard Austin Agriculture, all geared towards ensuring the products remain available for future use on potatoes and other key root crops. At the heart of the initiative is a series of workshops to ensure all operators are fully up-to-date with the latest legislation and supplied with the correct information to ensure the products are applied accurately and safely. Growers must demonstrate advice has been sought from a BASIS-qualified agronomist prior to the purchase and use of a nematicide. Recommendation sheets must be available for each treated field. See also: Are you prepared for next seaon's nematicide shortages? Operators must also be qualified to apply nematicides (NPTC PA4 or PA4G certification). Dr Hall explains: “The operator training workshops have emphasised safe handling, applicator calibration and eliminating non-target exposure, to ensure these vital products remain available for future use. “It is vital to note stewardship training does not replace the NPTC PA4 or PA4G certification. This follows an industry request that Red Tractor Assurance incorporates a requirement into its standards specifying all staff applying nematicides must have completed the course by March 2017. Andy Alexander, grower, BASIS-qualified agronomist and NFU potato committee member, says the scheme has been well received by growers in its first year. The NSP announced a new training partnership with Artis at the end of 2015. Artis is an industry-led accredited training initiative, launched in 2014 and developed by G’s Growers, NIAB, Lantra and East Malling Research, with funding from the UK Commission for Employment and Skills. The initiative provides training to growers, farmers and managers in the food supply chain to boost productivity through applying the latest agri-tech knowledge and research. So far more than 800 growers and operators have attended workshops. The next courses will run from autumn this year and operators can already register their interest by visiting the Artis website. Workshop trainer Steve Higginbotham says the course offers growers and operators a different approach to a subject which they may already know well. James Hopwood, of grower and packer Ibbotson in Yorkshire, which hosted two workshops this winter, says: “To retain active ingredients we have to maintain stewardship: every user must show diligence and take part in the training. Ibbotson grows 243ha of potatoes, and was already applying nematicides on the rotavator ahead of the planter, but Mr Hopwood says: “We can see the importance of best practice, paying attention to correct calibration and keeping servicing up-to-date to ensure application rates remain accurate. Operator Steve Johnson works for a large grower in Nottinghamshire and says he found the course informative. He adds that his employer’s system is based on a one-pass, one operator set up, with the applicator on a front-mounted rotavator ahead of the planter. Information on the correct PPE and handling of nematicides was especially helpful, he says. One of the key issues for growers and operators is to ensure they are using appropriate machinery, which is correctly maintained and calibrated to apply nematicides safely. Specialist applicator manufacturer Chafer Horstine is working closely with the NSP; marketing manager Joe Allen explains the requirements. 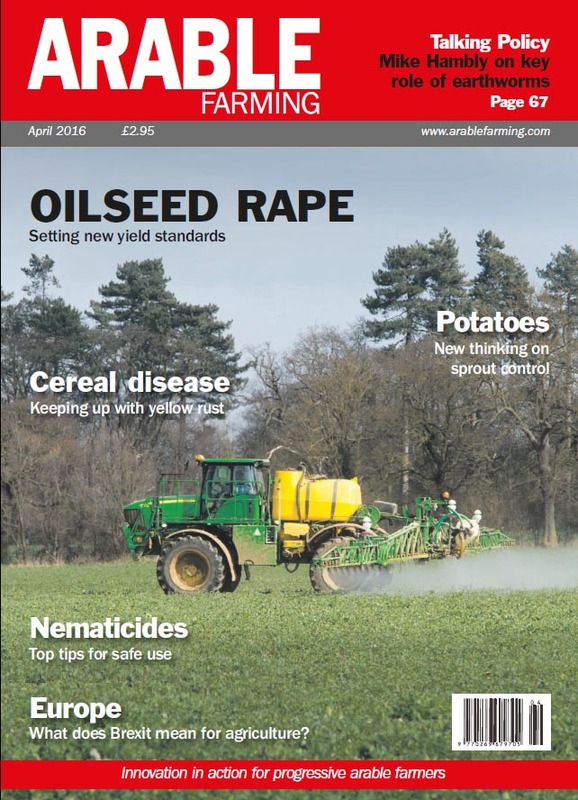 “Growers need to consider the suitability of the applicator being used. The NSP gives guidance on selecting the right applicator for the process being carried out, and much of the guidance surrounds ensuring that no granules are left on the surface after application. Nematicides must be applied and incorporated within a single pass. “Boomed applicators are not suitable, as these require a separate pass after nematicide application. If circumstances prevented this, the actives would be left on the surface. 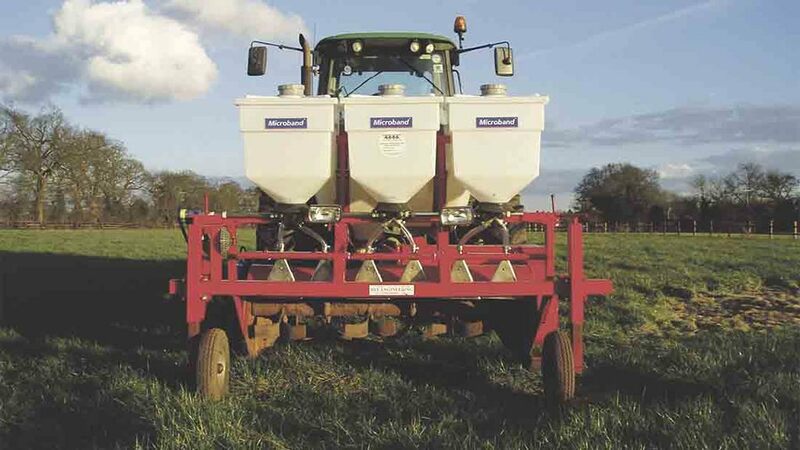 After selecting the right applicator for the job, regular calibration and maintenance is vital to ensure the equipment can apply nematicides safely and accurately. The applicator is checked prior to each work-day, ensuring all pipework is correctly fitted, the hopper bungs are in place and the hopper lids are secure. The applicator is calibrated each week. The area treated matches the volume of product used for each field. “Growers should be able to demonstrate the applicator has been calibrated and has been tested and certified annually by NSTS,” adds Mr Allen. On a more frequent basis the NSP recommends growers keep records to prove regular calibrations are made and the output of the machine matches the target rate for a given area. The Horstine technical department can offer advice on correct metering components as well as NSTS testing of the applicators themselves to ensure compliance. One of the most important requirements concerns product shut-off at the headland. 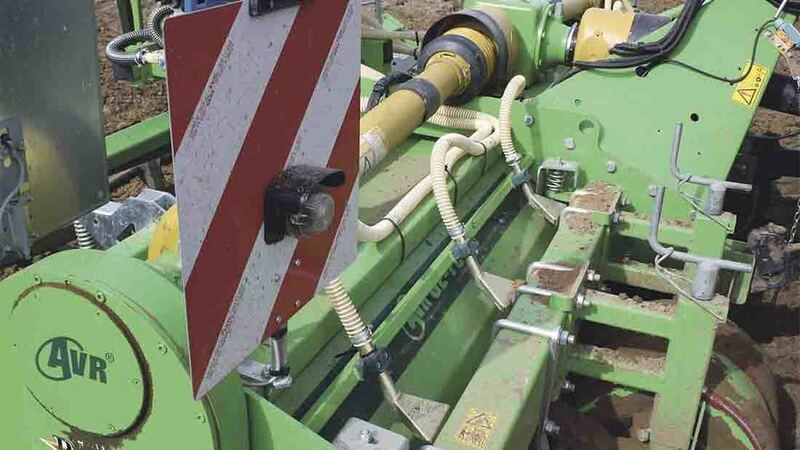 “By March 2017, all applicators must be fitted with a device in-cab which allows the operator to shut off nematicide granule flow at least three metres from the end of each row. “This is designed to prevent chemicals being dropped while lifting out at the end of rows, and can be achieved in a couple of ways. The simplest and lowest cost option is to fit an electric clutch in the land wheel drive line. This completely separates the drive using an in-cab switch, ensuring the metering cannot be turned by the land wheel. “A more popular option among our customers is to upgrade the applicator with an electric Wizard drive, removing the need for a land wheel drive.